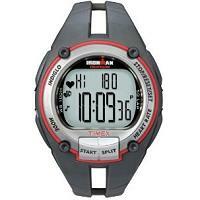 Timex heart rate monitor watches are well regarded by professional athletes and casual exercisers alike. There is a wide range of high quality models of to suit every taste and need. Since there are so many models, it can be quite confusing to know which is which, particularly since Timex designates its models with long sequence of alphanumeric digits. 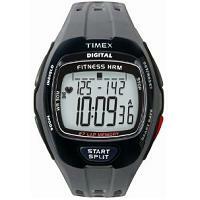 However this page will attempt to clear up the confusion, helping you to select the right Timex heart rate monitor. All the models that belong to a particular "Trainer" have the same features e.g. all the Zone Trainer models have exactly the same features, differing only in size, color and trim. 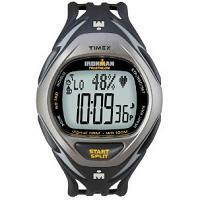 In the table below, you can read about the features of various heart rate monitors from Timex, together with short summaries of user reviews, i.e. what users think of these models, both good and bad. Real time heart rate with chest strap. Average and max heart rates. Simple to use. Just press the big button to start. 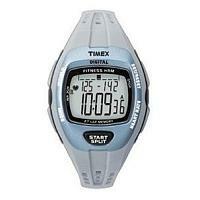 Provides just the info that an average exerciser needs. Chest strap will work with most gym equipment if desired. Both chest strap and wrist watch batteries user replaceable. Some units quit working after a few months. Some units stop working at high heart rates (over 175). Some chest straps stop working even after battery is replaced. Manual heart rate training zone. Recovery heart rate timer (1 min). 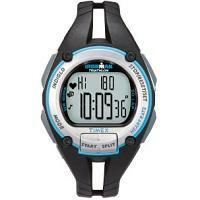 Helpful features such as heart rate zone alerts and calorie count. Useful exercise statistics can be recalled. Heart rate recovery time great for tracking fitness improvements. Calories counted seem a little high. The plastic clasps on chest strap can break. User manual not entirely clear on how to set the basic parameters. 5 heart rate training zones auto-calculated. 27 lap/split times. Average HR per lap. 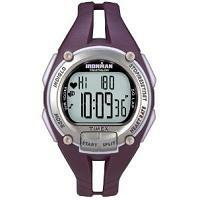 Recovery heart rate timer (1 or 2 mins). Simple to use with clear instruction manual. Self-change batteries means no need to post the watch to a service center. Digital transmission - free from unwanted interference. Can use it as an ordinary watch. Can be a little big for women with small wrists. Won't work with most gym equipment. Heart rate zone with beeps helps with pacing during a run. Recovery time feature with two options: 1 or 2 minutes. Heart rate is measured quickly and accurately. Review feature to track workout details. May not fit small wrists very well. User interface not too intuitive. Difficult to navigate thro' features. Does not work with treadmills at the gym. Digital transmission - great for spin class or other group classes since risk of interference is reduced. Its size is great for women. 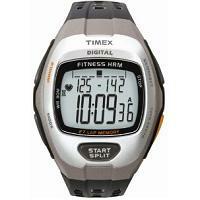 Data can be logged with the use of an optional Timex data recorder. 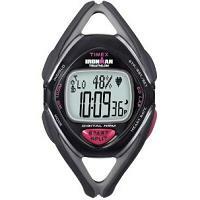 Price very affordable for a digital heart rate monitor. No indicator for low battery. Batteries on both watch and chest strap can be self-replaced. Small and feminine. Perfect for ladies. Little risk of interference compared to analogue heart rate monitors. Some chest straps no longer work even after a change of battery. Some think that the operations of the watch are not intuitive. 50 lap/split times. Average HR per lap. Countdown timer with either stop or repeat. Display can show different combination of data. Review of workout statistics after the exercise. Some users found that chest strap battery life is short. For some users, wrist watch and chest strap stop communicating after several months of use. Different ways of displaying heart rate data: real time, average, maximum etc. No interference from other heart rate monitors. Can be used as an ordinary watch. Features such as average HR per lap and time in target zone. Watch band can break after a few months' use. Chest strap can be a little short for wide chested users. No need to send the watch away for battery replacement. Not bulky. Fits women well. Chest strap quality unpredictable. Some fail to work properly even after the battery is replaced. Not as water-resistant as claimed. Easy to review workout data. 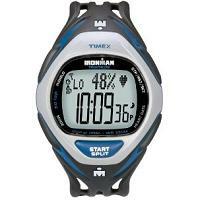 Display can show heart rate and stop watch timer simultaneously. Lap time / split time feature. It fits small wrists very well. Chest strap may not fit users with wide chest. Times above and below target zone are not computed. One user reported that chest strap malfunctioned after one month, and a new battery did not help. Countdown Timer (stop / repeat / switch to chrono mode). 5 segment interval timer (repeatable to 99 times). Recovery heart rate timer (30 secs, 1, 2, 5, 10 mins). Data display is flexible and easy-to-read. Battery replacement can be done by the user. Accurate heart rate readings with no interference issues. Watch band is not owner replaceable. Easy to accidentally push a button. Provides great feedback on quality of workout. 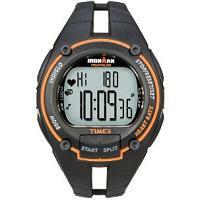 Interval timer helps with training. Some users reported that it stopped working after one year. Change of batteries didn't help. Will not work while swimming. Buttons and screens are easy to navigate. Heart rate display can change depending on user's preference. Comfortable watch and chest strap. Nice size for a woman. Tracks a lot of useful data. It does not work for swimming. A few users mentioned that it stopped working after a year. Not compatible with gyms spinning bikes. Nice size for a woman's wrist and extremely light weight. 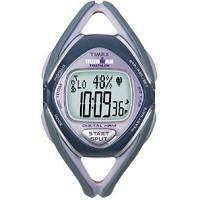 Interval timer great for walk/run. Ability to review all the info from each workout. Many useful features and data. Can't pair with gym equipment. Some users reported that it is not very durable. 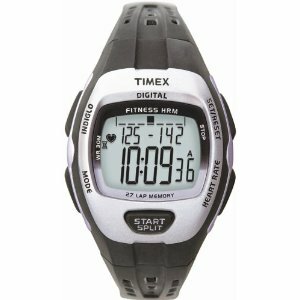 Please visit Timex's official web site for more information.